It was only a few weeks ago that the U.S. Department of Commerce announced plans to slap duties on Chinese solar panel manufacturers. On May 30, the Commerce Department followed suit by announcing plans to tax Chinese manufacturers of towers for wind turbines after determining that they receive unfair government subsidies, according to the New York Times (http://www.nytimes.com/2012/05/31/business/energy-environment/us-imposes-duties-on-chinese-wind-towers.html?partner=rss&emc=rss). The proposed duties range from 13.7 to 26 percent, according to the Times article. While all the major news outlets covered the story, there are several reasons why the wind tower stocks didn’t really rally on the news. First, the entire market is in the midst of a serious slump: The month of May saw Nasdaq dip 7.2 percent, Dow drop 6.2 percent and the S&P 500 decline by 6.3 percent. Second, as noted by Forbes, most of the wind tower stocks aren’t “pure plays” (http://www.forbes.com/sites/tomkonrad/2012/05/31/us-imposes-tariff-on-chinese-wind-towers-why-wind-tower-stocks-are-down/). We covered a few randomly chosen companies in the wind power space last October. Here’s a comparison of then and now, as of close of market June 1. China-based China Ming Yang Wind Power Group Ltd. (NYSE: MY, http://www.mywind.com.cn/) makes, services and sells wind power turbines in China, which means they may be the focus of a tariff. Formerly China Wind Power Equipment Group Ltd., the company’s market cap dipped from $334 million in October to $165 million currently. Daily trading volume dropped from about 170,000 shares a day to 145,000. Its stock has gone from about $14 in late 2010 to $2.45 on Oct. 7 and closed at $1.35 June 1, down 10 cents on the day. Ann Arbor, MI-based Kaydon (NYSE: KDN, http://www.kaydon.com/) makes parts such as custom bearings for windmills. In 2008 they built a manufacturing facility in Monterrey, Mexico devoted to servicing the wind energy industry. On Aug. 9 2011 KDN was trading for $32.48, dropped to $28.81 on Oct. 7 and closed June 1, 2012 at $21.79, down 52 cents on the day. It trades about 375,000 shares a day. St. Louis-based Zoltec Companies (Nasdaq :ZOLT, http://www.zoltek.com/) was mentioned in an Investopedia article as another way to play the wind energy market (as was Kaydon and Ming Yang Wind Power Group). ZOLT makes carbon fibers used to reduce weight in turbine blades so they spin faster and recently won a $3.7 million grant from the US Department of Energy for carbine fiber research. If you go back to February 2011 its stock was trading at $16 but had dropped to $5.93 by Oct. 7. It closed at $7.95 on June 1 2012, down 40 cents on the day. Another way to look at this market is through two ETFs that offer a group of wind energy companies to invest in. 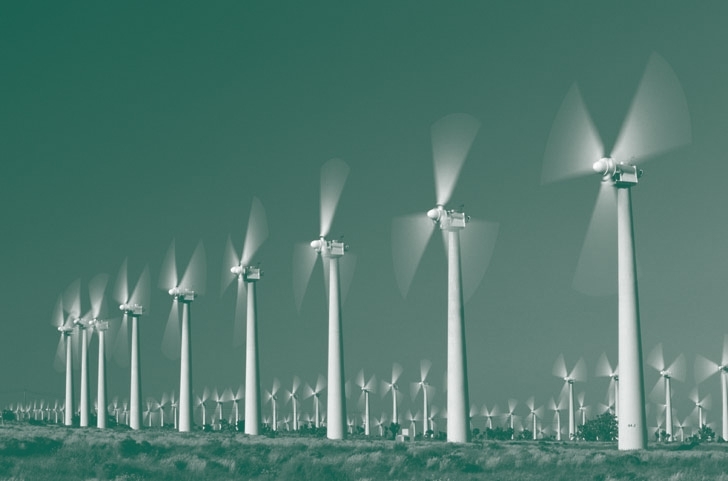 They include PowerShares Global Wind Energy (Nasdaq:PWND), which dropped from $7.09 last Oct. 7 to close at $5.10 on June 1, down 15 cents on the day (52-week range is $5.18-$10.38) and First Trust Global Wind Energy (NYSE: FAN) which closed Oct. 7 at $8.31 but had dropped to $5.89 (52-week range is $5.92-$11.18). This entry was posted in Alternative energy, Bull market, China, Greentech, Renewable energy, smallcap growth, Smallcap value, Wind energy and tagged carbon fibers, China Ming Yang, China Wind Power Equipment Group, Chinese wind tower manufacturers, First Trust Global Wind Energy, Investopedia, Kaydon, PowerShares Global Wind Energy, tariffs, US Department of Commerce, wind power, Wind Power Group, wind towers, Zoltec Companies. Bookmark the permalink.